It is the question of everyone’s mind. 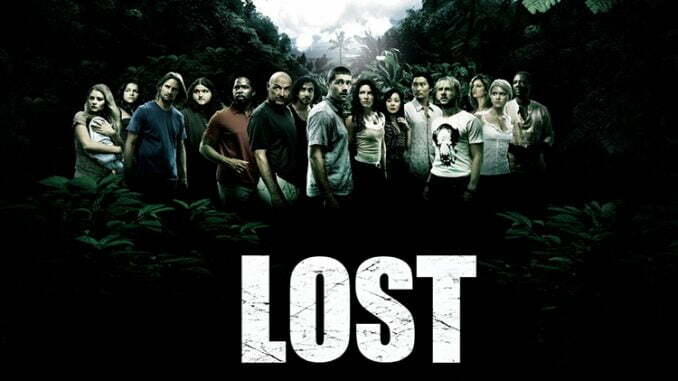 What do I watch after “Lost”? After six seasons of thinking “huh?” after each episode, one of the best televisions shows ever has come to an end, perhaps raising more questions than answers but no spoilers here! If you have no idea what I am talking about, head on over to your friendly neighborhood DVD seller and ask for “Lost Season One”. If you are like my wife and cannot make it through Season One, do not even bother with the other five seasons. “Lost” is, or I guess now was the brainchild of J.J. Abrams, a bespeckled boy genius who came to fame after developing and producing the incredibly successful “Alias” franchise starring Jennifer Garner. The series follows the lives of an extensive cast of survivors whose plane crashed on a mysterious tropical island. Soon after the crash, they find themselves being chased by killer smoke and polar bears. Plus this one paralyzed guy could walk again and the island started jumping through time. Lost? We all were and that was why we kept tuning in. It was not exactly science fiction nor was it a drama. It was in a league by itself and some say it was the show that kicked off the television renaissance in America that continues today. So now that this lost chapter in our TV lives is past, where do we go next? Below is a list of some TV series that might quench a thirst for more weird on your TV screen. Some of the series are ongoing while others are long finished and even classics. But let’s begin with the newest show. “V” is a 2009 TV series that is a reimagining of a 1983 series of the same name. Giant spaceships suddenly appear over 29 cities throughout the world, and Anna, the beautiful leader of the extra-terrestrials, claims to come in peace. She offers the humans their advanced technological and medical knowledge in exchange for a small amount of natural resources. However a group of humans discover that the aliens have spent decades infiltrating human governments, businesses, and religious institutions and are now in the final stages of their plan to take over the Earth – of course. A great ensemble cast with some “Lost” cast-aways make this a nail biter that is sometimes predictable, but also satisfying. “Battlestar Gallactica” (2003) is another reimagining of an older TV series, this one from 1978. After decades of peace, a cybernetic race called the Cylons attacks the human race killing all but a few who were fortunate to be in spaceships as the nuclear bombs hit the planets. One of the ships is a Battlestar called “Gallactica”. Now about 50,000 survivors in the fleet of ships must evade the powerful Cylons and find their way to the fabled planet called “Earth”. Some of the Cylons have evolved to look like humans and have infiltrated the fleet. Who is a Cylon? This is one of the best shows ever made, even for watchers who do not usually like science fiction. Its incredible special effects featuring intergalactic fight scenes and realistic sets raised the bar of what could be done on television. “Caprica” (2009). Created by the same team that gave us Battlestar Gallactica, this ongoing show is set decades before the Cylon attacks and tells the story of how humanity first created the robotic Cylons, who would later turn on their creators in retaliation for making them slaves. Still in season one, Caprica promises to be another great series but with much less of the fight scenes that make its sister show such a success. This show is so far more character driven and subtle but as we are only halfway through the first season, we should tune in to see what happens next. “Fringe” (2008) is J.J. Abrams’ next big TV venture. A smaller cast with a slightly more straightforward storyline, Fringe follows the FBI’s special “Fringe Division” as they use “fringe” science to solve strange and sometimes horrific events occurrences that cannot be otherwise explained. This series tends to attract more “geeks” than Abrams’ previous programs but that should not turn you off. Also new for Abrams is that the episodes are mostly self-contained and you do not need to watch the series in order. “Dr. Who” (1963-present) is a BBC production that holds the world record for being the longest and most successful science fiction series ever produced. The newest version of the series was launched in 2005. Traveling through time in a British Police Box called TARDIS, a mysterious humanoid alien called the “Doctor” finds himself in situations that are the epitome of strange and fights creepy aliens like the Silurians. In a recent episode, the Doctor joins forces with no other than Vincent van Gogh to fight a dangerous alien. The effects are cheap and the acting is over the top but this lends to the overall charm of the series.